Our daughter, Rachel has been a patient of Dr. Clarke's for the past four years, and we couldn’t be more pleased with our experiences with each and every appointment. Dr. Clarke provides outstanding, personalized service and care. 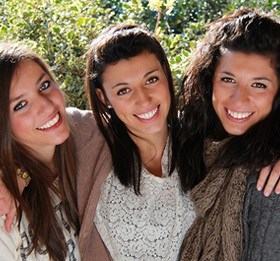 Capital Orthodontists has an extremely professional staff and environment. We are always welcomed with relaxed smiles, and seen promptly and never left waiting. I am so pleased with the results of my daughter's orthodontic work that I fully intend on having my son's orthodontic needs taken care of by Dr. Clarke and his staff. I would like to thank you and your staff for what I can only call the “royal treatment” we received while in your office. The office itself was obviously well planned and designed, with bright, open spaces, a comfortable and colorful environment, equipped with the latest in high tech dentistry, sterilization, and computer imaging tools and on-site laboratory services.